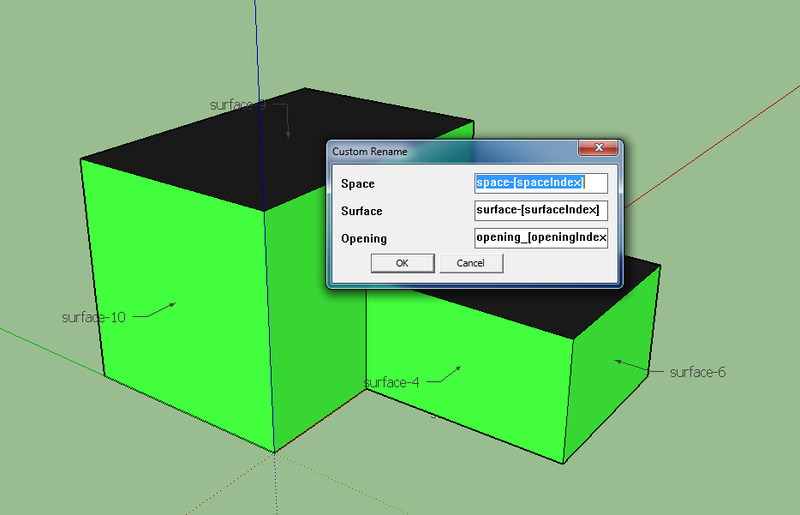 Space, surfaces, and openings can now be renamed using a custom naming scheme. At this years Consultancy and Engineering Awards, Rapiere won the prestigious Collaboration Champion of the Year award, fighting off competition from the likes of Network Rail, Crossrail, Arcadis, Jacobs and Apple Inc.
Rapiere Software Ltd is a company consisting of four founder partners; GreenspaceLive, Architype, ChapmanBDSP and Sweett Group. Together we have developed a web-based building simulation platform, that will save construction practitioners time and asset owners money by running multiple building simulation scenarios of cost, carbon and energy to optimise the sustainability of the design. For more information about Rapiere Software Ltd, please click here. On Tuesday the 15th of September 2015, RAPIERe was officially unveiled to the public at an event at the Battersea Power Station near London. Rapiere Software Ltd, is a company consisting of four founder partners; GreenspaceLive, Architype, ChapmanBDSP and Sweett Group. We have developed a web-based building simulation platform, that will save construction practitioners time and asset owners money by running multiple building simulation scenarios of cost, carbon and energy to optimise the sustainability of the design. 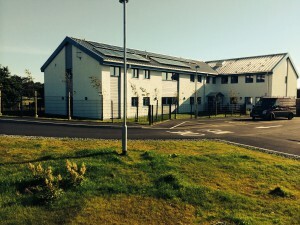 In April 2012, GreenspaceLive were confirmed as the UK’s official consortium in The Affirmative Integrated Energy Design Action (AIDA) project. AIDA is a project funded by Intelligent Energy Europe with a view to supporting building professionals and local authorities in the design and implementation of nZEB’s (nearly Zero Energy Buildings). Through a series of study tours, sustainable policies and web-based BIM (Building Information Modelling) software; the AIDA project aims to achieve several targets. To increase the number of nZEB buildings throughout Europe, the number of building professionals trained on integrated energy design, and the number of municipalities beginning to build and refurbish buildings to nZEB levels. 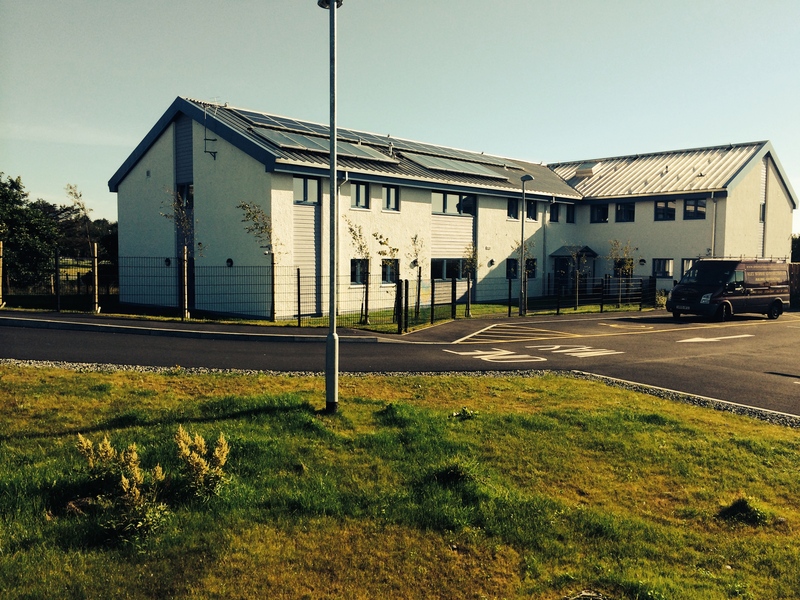 On Friday the 29th of August we will present our fourth study tour, a local building; the newly completed Temporary Accommodation Centre located in Stornoway. 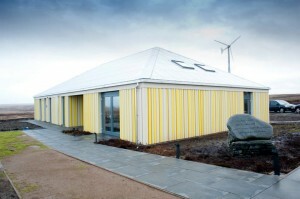 It has been built to high energy efficiency standards, incorporating air source heat pumps and solar PVs. The tour will consist of a design presentation and tour of the building, followed by a Q&A and a demonstration of our Energy Design Tools. Are you aware that it’s even easier to make gbXML and IDF models with gModeller with our automated texture and spacing functionality? Once you’ve built your model, you can easily automatically apply your surfaces by clicking “Auto Apply Surfaces” shown below. Once this has completed, you can review your model and, if any incorrect surfaces have been applied, overwrite them with the correct surface. You can space your model automatically by clicking the “Auto Apply Spaces” button shown below. This will space your model using our latest spacing technology. Count the rooms against your space count, you should find that they are both equal! If you make changes to your model, you can update the model without resurfacing and respacing! Simply use the “Sync Geometry” button below! If you have any queries or problems, contact GreenspaceLive via our webpage. GreenspaceLive are proud to reveal our latest version of gModeller: gModeller 1.9.5! We’ve made a number of improvements, fixes and new additions to gModeller based on user feedback to make the process of creating gbXML and IDF models from SketchUp with ease. – Sync Geometry has been improved. This means if you make changes to your model after you have textured it, such as moving windows or doors, you can use Sync Geometry to update the gModeller gbXML file without retexturing. – A button for Sync Geometry has been added to the gModeller toolbar. – Space Selection has been improved to detect fully enclosed spaces, including more abnormal shapes and designs. – Join Close Points has been added. This closes small gaps (under 1cm) within your model that may have occured during the modelling process. This is available in the Plugin Menu within SketchUp. – Repair Model feature has been added. Repair Model will take your current model, save it and re-create it, eliminating any additional surfaces and points in your model. This is available in the Plugin Menu within SketchUp. – ‘Paint Detected Spaces‘ runs the space detection and draws the floor of every detected space yellow, making any problem spaces visible in green. This is available in the Plugin Menu within SketchUp. In April 2012, we were confirmed as the UK’s official consortium in The Affirmative Integrated Energy Design Action (AIDA) project. 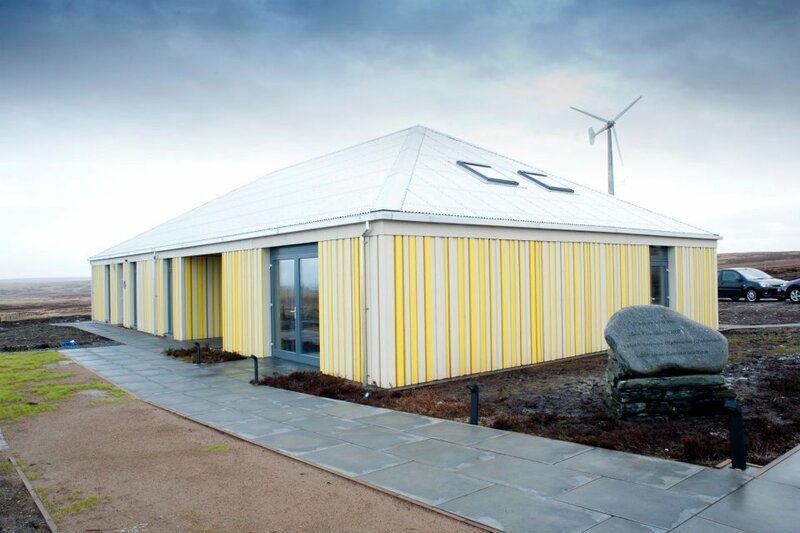 AIDA is a project funded by Intelligent Energy Europe with a view to supporting building professionals and local authorities in the designing and implementation of nZEB’s (nearly Zero Energy Buildings). Through a series of study tours, sustainable policies and web-based BIM (Building Information Modelling) software; the AIDA project aims to increase the number of nZEB buildings throughout Europe, the number of building professionals trained on integrated energy design and the number of municipalities starting to build/refurbish buildings to nZEB levels. We have already completed one study tour of a primary school in Wolverhampton, which was the UK’s first Passivhaus certified primary school. The tour proved to be a success and the full document can be read here (OakMeadow_successStory_2012_02_15). In addition, our gEnergy tool is now ready to be presented in workshops during the study tours. gEnergy is being offered for use to project partners and participating municipalities, architects and engineers. It will be used to identify where improvements are needed in existing buildings and to demonstrate that proposed new designs meet nZEB requirements. AIDA’s core objective is the eventual widespread adoption of nZEB throughout Europe and to help the EU’s 2020 objectives for reducing energy consumption and carbon emissions. We at GreenspaceLive are excited to be part of this collaboration project, and we hope it’s the beginning of a sustainable future. General / gEnergy / New Feature — Comments Off on Introducing the gEnergyWiki and Public Projects! Introducing the gEnergyWiki and Public Projects! We’ve just activated our gEnergy wiki – 450 EnergyPlus sample projects linked to gEnergy Public Projects. Click here to visit it! We’re looking to add more and get world-class Revit/gbXML/SketchUp/EnergyPlus experts contributing, why not contact us to get involved?